Keeping good finances doesn’t seem like the easiest task in the world but there are simple tricks and methods that can be used to make the process a lot easier and less time consuming than you might think. For effective financing, it helps to first of all understand your cash flow. 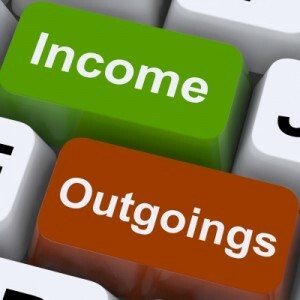 This can be split into two key areas; your income and your outgoing expenses. First of all, you should have a realistic idea of your financial situation to start with. This is most important when working out what part of your income to use for working out your financial situation. Don’t use your net income, as much of this money isn’t open to you and gets spent through taxes and other ways before you even see it. Using a wage calculator can give you a much more realistic figure of how much is genuinely available to you, which makes any other figures and planning you do based on this number a whole lot more realistic. Now that you know how much money you actually have to work with each month, you can start to understand your expenses as well. This is a simple matter of knowing how much is spent in all of the relevant different areas on a monthly basis. This includes areas such as shopping, travel or utility bills. Some of these costs are completely unavoidable; there is simply no way to avoid paying utility bills, for example. As such, these are costs which you can almost predict and rely on each month with a relatively low degree of variance each time. Taking these costs out of your income will show you what ‘spare’ cash is left over. This is your disposable income and is the cash which you should be free to dedicate to the non-essential expenses you want to make, such as holidays, savings and shopping. The reason this is important is to help you understand what can be cut back if you need to budget for any special reason. Likewise, it helps to leave yourself some breathing space, if possible, to either put into savings or help with any surprise costs which crop up during any given month. Now you know these two important areas you’re in a better position to plan ahead with confidence. Any additional costs or income changes will end up affecting both of the above areas so be aware of anything that’s new or could cause problems in the future. New costs, for instance, will eat into your spare money each month. If it is a big amount you might not be able to afford it without budgeting in a different way. Likewise, cutting back on your expenses opens this area up to let you keep aside more money for savings and other areas. These are, essentially, the simple yet effective ways to look at your money and give yourself the greatest degree of financial control possible without spending too much time on the matter. Understanding where your money goes is an important point. I think so many folks spend through money without really tracking where it’s going.